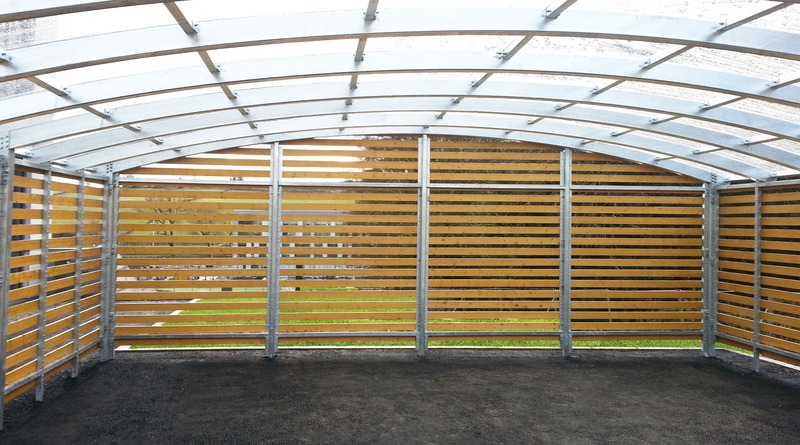 Bailey Streetscene were asked to design, manufacture and install a bespoke timber shelter for Kingswell Business Park to provide cycle storage for employees and visitors. Bailey Streetscene’s extensive knowledge in creating bespoke structures meant that they were quickly able to understand the specific needs of the client and propose an ideal solution. The shelter had to be both durable and aesthetically pleasing to stand up to the rigours of the extreme weather which can occur in this part of the country whilst fitting in with the rest of the external structures on the site. Bailey Streetscene overcame a number of issues including uneven foundations and extreme weather conditions on site to deliver the shelter on time and within budget. The client was so pleased with the final result that the shelter has since been replicated in various forms for other phases of the project.